For the nine years I have been rock climbing, I have always had a love-hate relationship with this savage sport. Climbing rocks has always been a very deep act of surrendering to my own self-confidence and some days this had been easier than others. I do not climb because it is fun, I climb because it is challenging. Because it pushes me past my limits. When you are leading a route where the chances of you making it up or falling down are pretty much equal, but there is something called a “survival mode” that turns on inside of you that makes you do things you may never thought yourself capable of. This same “survival mode” one has on a rock can often been transplanted on the ground when we think we have lost self-control or we feel lost and not sure of what to do next. 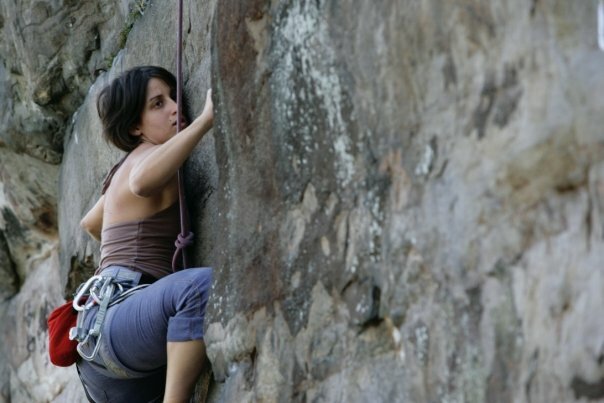 Climbing rocks is a very useful school of life. A much more dangerous one, but also a very satisfying type. There is something very pure and real about wanting to reach for one’s limit by challenging nature. The feeling of success or defeat one feels when getting up a rock is not as easy as we had envisioned, it’s a very spiritual act as if we were not only pushing our human boundaries, but also accepting our limitations in life with a strange respect and self-control. Yes, climbing is scary. Being 200 feet above the ground and being held only by a rope, knowing there is not way down, but repelling is not joke! But the view of falcons flying by and the incredible silence and peace one experiences up there, as if she was the Queen of the World beneath her, that is worth every sweat spots and difficult moves. Not to mention how good it feels when the sun is beating on your shoulders and the wind is just encouraging your ascent with little sudden pushes here and there. And I thought I was never going to do this again when three years ago on a lovely memorial day weekend at the Red River Gorge I took a very bad fall at the top anchors and got so scared for my life that I stopped climbing all at once. Well, the fear is overcome and the love for the rock is back where it used to be. 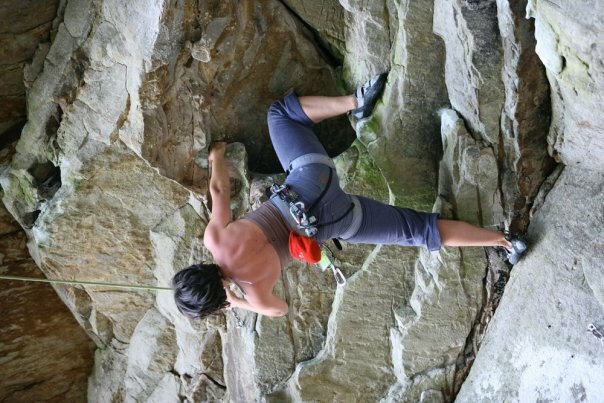 Bring it on, Gunks, I am yours to try!